A bill targeting international organ trafficking that was first proposed a decade ago took a step closer to fruition this week after it passed a second reading in the House of Commons. Bill S-240 would make it a criminal offence in Canada to receive an organ abroad without consent from the donor, and it would also make people involved in forced organ harvesting anywhere in the world inadmissible to Canada. The bill unanimously passed in the Senate in October and was then introduced to the House of Commons by Conservative MP Garnett Genuis. It passed second reading on Dec. 10 and will now go to committee to be studied in-depth. In Parliament on Dec. 10, International Human Rights Day, Genuis was one of several MPs who noted the importance of the bill and urged its swift passage. “We have had four bills in 10 years, and now we have less than one year until the next election,” he said. “Canadians contribute to organ trafficking primarily through a phenomenon called transplant tourism. It is the most common way to trade organs across national borders. Recipients travel abroad to undergo organ transplants and there is currently no law in Canada against this practice,” she said. The first iteration of the legislation was introduced in 2008 as a private member’s bill by Liberal MP Borys Wrzesnewskyj. After it didn’t go anywhere, former Liberal MP and justice minister Irwin Cotler introduced a similar bill. After Cotler retired, Genius tried, with no success. Then a similar bill crafted by Sen. Salma Ataullahjan finally received cross-party support in the Senate, and that’s the bill brought forward by Genuis now making its way through the House. “These bills were written largely in response to credible and appalling reports concerning organ harvesting in China,” said Hardcastle. “According to testimony that our subcommittee heard on November 3, 2016, China’s organ-harvesting industry developed in tandem with its systematic repression of Falun Gong,” she said, referring to the traditional Chinese spiritual practice that has been subjected to a brutal campaign of persecution by the Chinese regime since 1999. The numbers Hardcastle cited were from a 2016 report by Winnipeg-based international human rights lawyer David Matas, former Liberal cabinet minister David Kilgour, and China expert Ethan Gutmann. In 2006, Matas and Kilgour were the first to alert the world that Falun Gong prisoners of conscience incarcerated in China were being killed for their organs. In the years since, several books have been written and documentaries made that have shed more light on the atrocity, as well as the updated 2016 report. “It’s not directed against any country in particular, but in fact, regrettably, China has been named recently by authorities in this regard as a country that has been engaged in not only in illegal organ harvesting but in the targeting of Falun Gong practitioners in that organ pillaging,” he said. 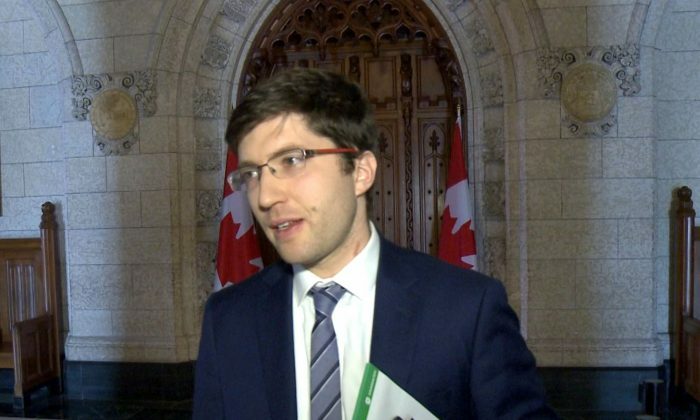 Genuis also said he’s pleased Bill S-240 is making progress. “This is the first time that any bill dealing with organ trafficking has passed second reading in the House of Commons, and so this bill has gotten a lot further than any others before it,” he said in an interview. In the first reading on Nov. 20, Liberal MP Kevin Lamoureux said he has received petitions on the issue of forced organ harvesting in China urging Ottawa to act. “The people who have signed these petitions are asking the Government of Canada to take action,” he said. NDP MP Murray Rankin said on Dec. 10 that as far as he’s concerned, “I do not want to spend much time on this bill. With files from Lucy Zhou in Ottawa.